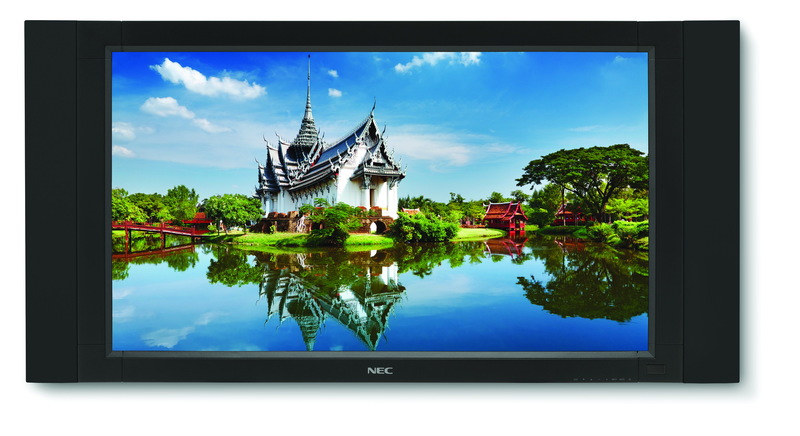 NEC Display Solutions of America, a leading provider of commercial LCD display and projector solutions, announced today its new V Series with the debut of the 32-inch V321, a value-driven LCD display ideal for those new to the digital signage market. 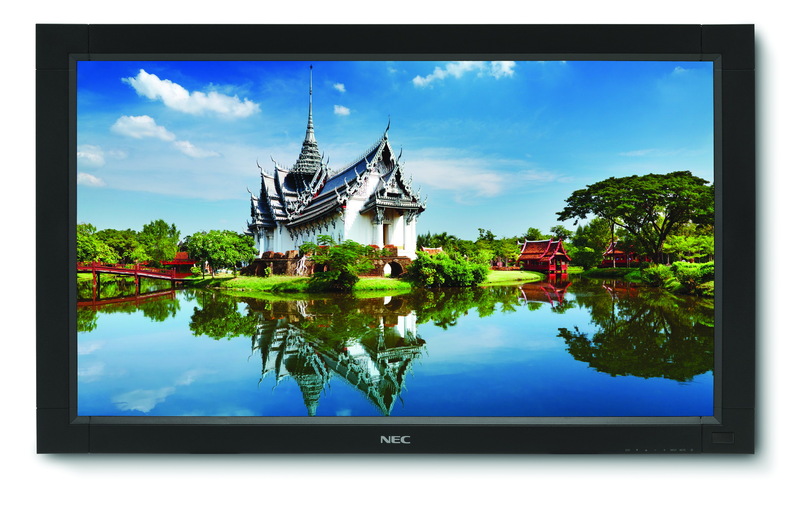 The V321 succeeds the MultiSync LCD3215, offering new digital signage features that will benefit customers with robust runtimes in restaurants, corporate lobbies and conference rooms. The V Series was designed with small businesses in mind, for those applications that require commercial-grade technology on a limited budget. 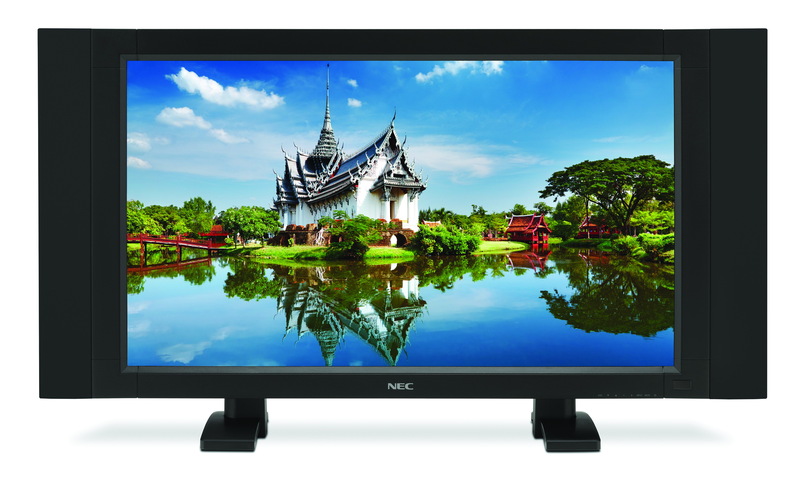 The high-definition V321 presents new, convenient features that simplify the customer experience, such as the built-in text ticker feature. This enhancement enables end-users to dedicate a portion of the screen to emergency warnings or breaking news. While the primary, scheduled content is displayed and fills the majority of the screen, the secondary ticker information can be displayed on the lower, remaining portion of the screen through a separate input. 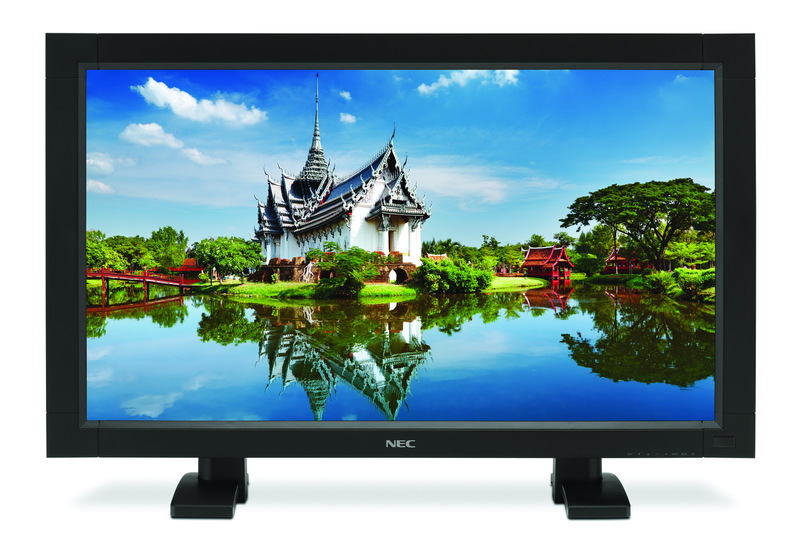 Other improved features include quick input change for faster switching between sources, advanced terminal settings and monitoring and control over Ethernet, including email notifications in the event the display encounters an error.Â Additionally, its SPVA panel contributes to the increase in contrast ratio from 800:1 to 3000:1 and the reduced number of CCFLs, relating directly to the decrease in mercury content. 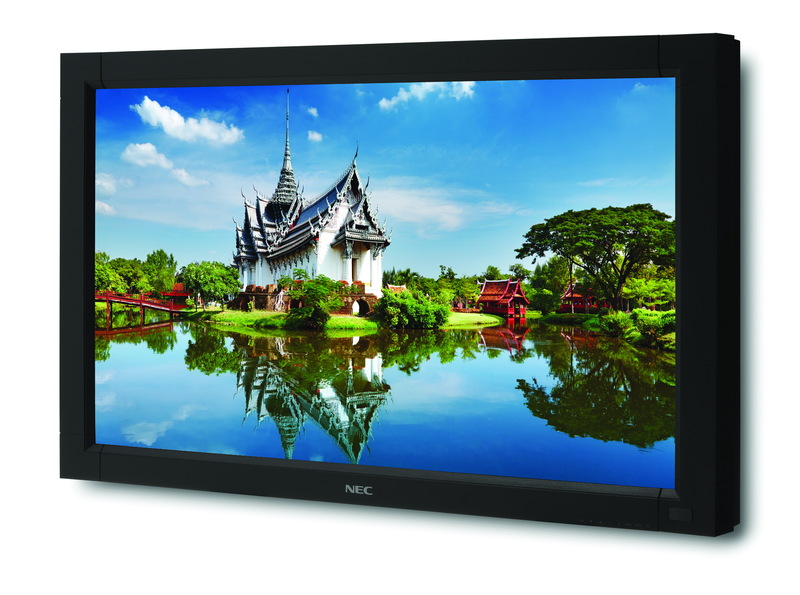 The V321 supports video walls of up to 25 displays in a 5×5 configuration using TileMatrixTM, an improvement from the 4×4 capability in the MultiSync LCD3215. 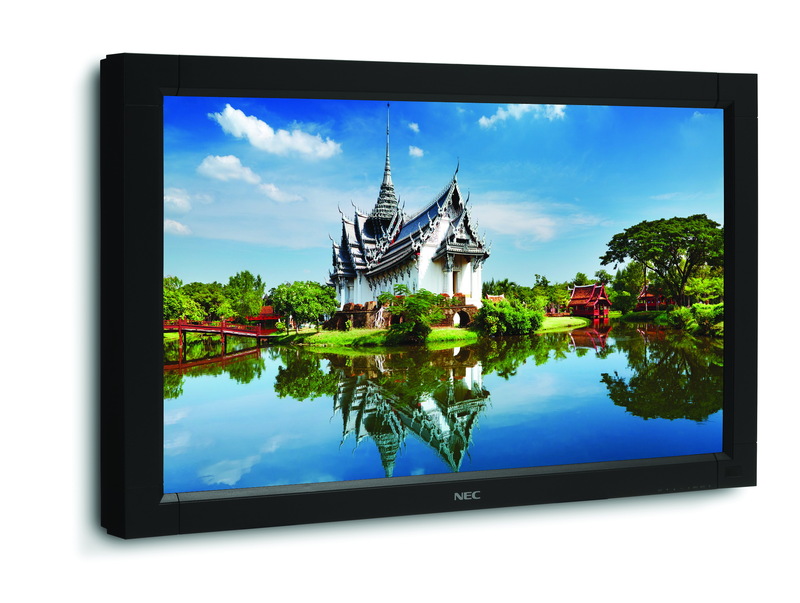 The display also allows individual or group identities with only one command, where users can address monitors individually, as an entire group or defined sub-groups. Certain settings can be customized within each group, providing further flexibility. 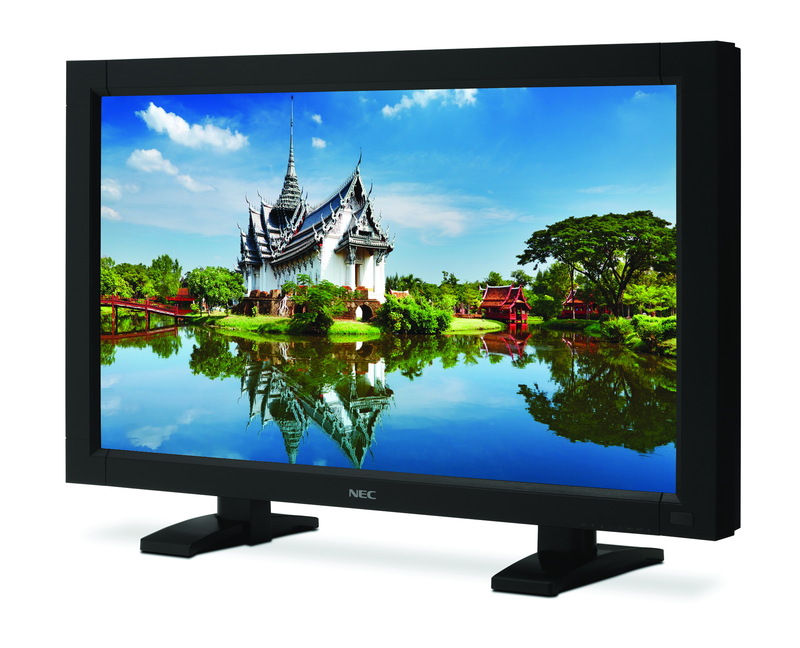 The V321 will be available for April 2010 shipment at an estimated street price of $649. 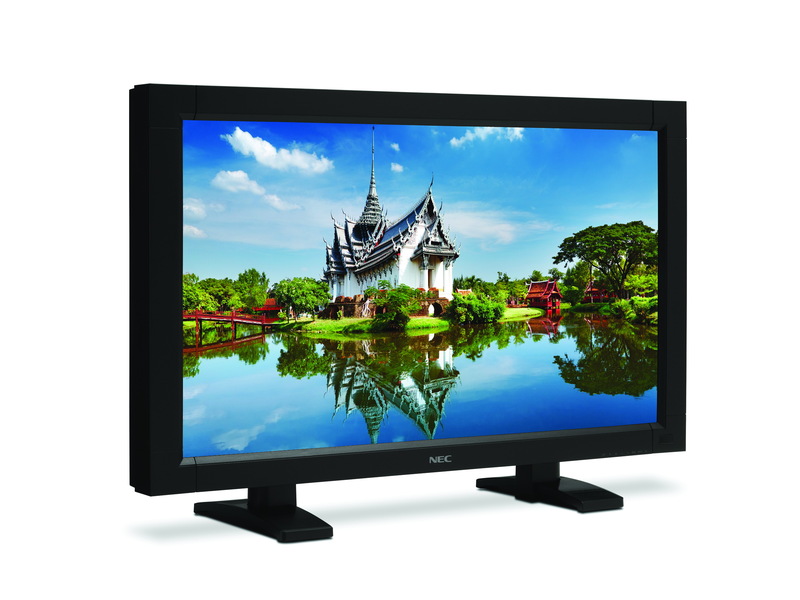 The displays ship with a 3-year parts and labor warranty, including the backlight. Extended warranties of 4- and 5-years are available for purchase.